I wish I knew how to do things halfway. I wish that I could become one of those people who can do the minimum. Just phone it in, do your best, then grab the keys and head home. Those people probably sleep really well. I bet they don’t wake up at 3:15 AM wondering if the frogs that the kids caught are going to have enough bugs to eat in the morning. I bet they let themselves sleep an extra ten minutes past the alarm instead of getting up ten minutes before it rings so they can correct ten extra math papers before the school day begins. I wish that I could learn how to really believe myself when I feel that I have done my best. I wish that I could put in a good day’s work and then just go home. How do people learn to relax that way? I don’t know. When I was a Mommy, I worried every night that I hadn’t been a patient or kind enough mother. I worried that the dinner I cooked wasn’t nutritious enough. I worried that I hadn’t listened to them enough, or read to them enough, or rocked them enough. I worried that I was too harsh, too permissive, too punitive, too lax. They grew up to be pretty damn great, so I should trust myself by now, no? Well, no. Nope. No way. I work very hard at my job. I give myself heart and soul and mind to my students. I am so fully engaged in teaching my fifth graders that sometimes I feel as if my teaching time is the only real part of my life. The only time that I am fully present, fully alive, fully alert. But even when I have begun the day at 6, raced through seven hours with the kids, planned great lessons, called parents, cleaned up my desk and dragged myself home again at 6, I am not sure that I have actually done a good job. Why is that? It could be because my principal is biologically unable to say “good job”. It could be because a few years ago I gave up the job where I had earned a reputation as a solid professional and took on a role where I was unproven and unknown. Perhaps it is my innate desire to change a life forever. I don’t just want to be a “nice” teacher; I want to be the one they remember in 20 years. I’m tired. My back hurts, my knees ache, my eyes are sore. I don’t have time to read, or call my friends, or walk my dogs. I’m giving every ounce of my strength to my class. Every molecule of my being is devoted to getting it RIGHT. Meeting the state mandates. Learning the new rules and expectations, following the standards, fulfilling all of the requirements. So how do I stop? How do I learn to do just enough to get by, instead of always trying to be great? Just once, I wish that I could just freakin’ phone it in. Trust me, you don’t really want to do that. I’ve taught several things in my life, but at one point I taught at a well-known University. I knew I’d reached burnout when I “phoned it in” one semester. It turned out that a professor I greatly admired (and had covered classes for at times) had told his wife to take my class that semester. When I found out later (she used her maiden name), I was so ashamed I quit teaching for a long time. I’ve had teachers I remembered all my life. Some were like I became, but the ones like you are the ones I remember fondly. They’re also the ones that taught me the most (and not just about the subject in the book). Don’t even think about doing to your students what I did that one semester. They need you too much. This is why blogging is my therapy; I need this reassurance and advice. Today was just a very discouraging day, where the powers (read “principal”) reminded me once again that my 25 years of experience don’t count because I need more training in the latest busywork. I need to learn to keep my focus on the kids, who keep leaving me gifts, cards and letters telling me that I really truly AM getting it right. I don’t really want to “phone it in”; I just want to not give a damn about anyone over the age of 11. I too think every day about wonderful, caring teachers I had decades ago in Boston. But you do need to walk the dogs! 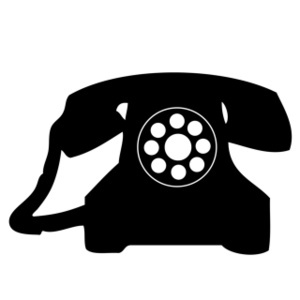 You will never be the “phoning it in type”….which is why we have so enjoyed getting to know you. Thank you, and you know that the admiration is mutual. Still….maybe just for one day?? I totally hear you–as a former social worker in a busy clinic, I was often torn between my own need to “get it absolutely 110% right” and my need to actually have a life; between the clients and their urgent, deeply personal needs, and the power structure of the place I worked, which seemed to want more and more from me, while it gave less and less back. I did “phone it in” for almost a year, and then I left, because I realized that I couldn’t be true to my calling and my clients while also raising a family and trying to conform to management’s demands. I know you can’t “just relax”–but is there anyone in your life who can give you some emotional support and help you see that you really are doing an excellent job? A colleague or mentor? A friend who’s been in your shoes? Karen, thank you so much for your good advice, and for your honesty in sharing your story. I am lucky to have a very supportive and wonderful fifth grade team who help me to stay on track. I also am incredibly blessed to work with my daughter, who is a young teacher in our district. The tension for me is in not wanting to demoralize these young women who I love and admire, but still wanting to get some support. One of the sad parts of teaching is that as our same age colleagues retire, we “old dinosaurs” are simply made obsolete, rather than celebrated for what we know and achieve. Don`t be so hard on yourself. Trust in your ability to do the best you can. Momma, it helps to know you always have my back! AND you always think your kids are awesome! Well, if the principal can’t do it, I will. Great job! Day in and day out, you are making the most important kind of difference. Thank you!!! I think what I really need is a thicker skin and a boost of self-confidence…! You care, that’s why. This story reminds me of this past weekend when Nathan had a project to do…a replica of an African village. I had been told by him that a poster would be fine and that he could just draw on it and get an “A”, but some kids were building things and making it 3D. That was when I suggested building an actual village with huts and a garden and a walkway and people. Feeling pretty pleased with myself, I turned to look at him, only to see him looking to the Heavens, arms outstretched, saying, “Why can’t I have a normal mother who will just do a poster?” In a world where so many people are content with just “getting by”, it is so refreshing to have someone who cares enough to go the extra mile.